You will love the cozy accommodations, friendly staff and delicious breakfast at our Houston, TX hotel. Amenities include free WiFi, free hot breakfast, meeting space, a fitness center and an outdoor pool. Guest rooms feature microwaves and refrigerators, premium bedding, work desks, flat-screen TVs and coffee makers. Our Comfort Inn and Suites SW Houston Sugarland property offers convenient access to popular destinations. 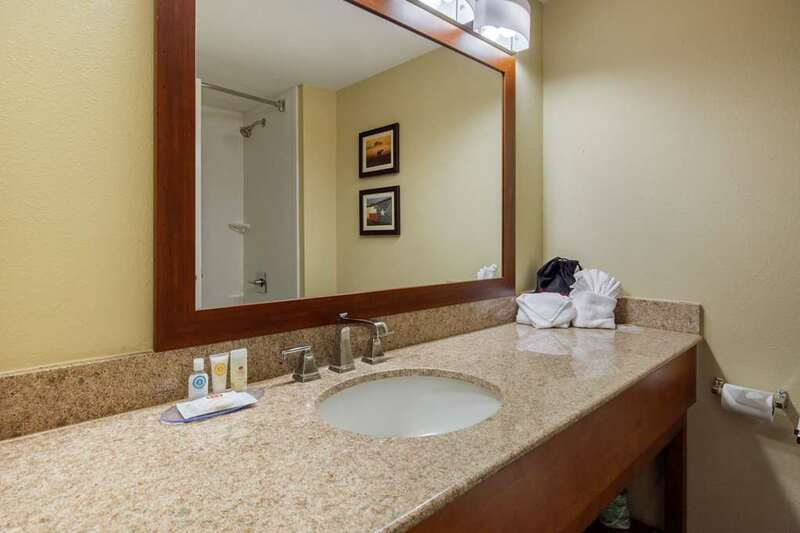 Whether you are traveling for business or you need a vacation hotel for a family getaway, you will be near the Galleria, downtown Houston, CityCentre, NRG Stadium and Minute Maid Park. Behind every great day is a great night at our Houston, TX hotel. Do not forget that you can earn rewards, including free nights and gift cards, with our Choice Privileges Rewards program. No Pets Allowed.